“ Tolles Produkt, was viele begeistert und bei dem aus meiner Sicht angemessenen Preis Erfolg am Markt haben sollte. Die zahlreichen Entwicklungsmöglichkeiten (Water Proof, Video, ...) sollten dem Produkt Erfolg auch in den nächsten 10 Jahren sichern. Ich hoffe nur, dass das Gerät und die Software dazu (das Vorgehen mit der Online-Bildausbereitung ist mir noch unklar) sehr benutzerfreundlich sind, so dass jeder damit klar kommt, ohne sich über Bugs und Internetverbindungsproblemen ärgern muss. Sonst könnte der Erfolg dran scheitern. “ As a consumer and photography enthusiast, I get excited at the innovation Panono brings to the photography market, it simply is unlike anything I have seen in recent years. 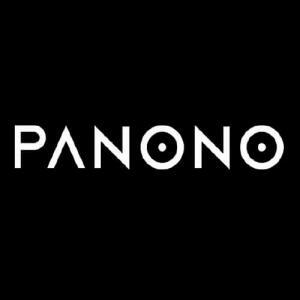 As an investor, the applications where Panono can be put to use are promising - real-estate, photography (weddings/events), home security, surveillance, travel, extreme sports, web design etc. - and those that will compliment as more technology is brought to the average consumer markets i.e. quad-copters and google fiber and cloud to better support sharing of large files/videos, and the like. Let's be clear, it will not replace the point & shoot but it fills a gap that point and shoot and phone photography cannot meet. With that said, the target audience and market strategy has to be clever - one that supplements. “ Geile Idee, ich glaube an Euch!